Welcome to The Fine Art of Racing. 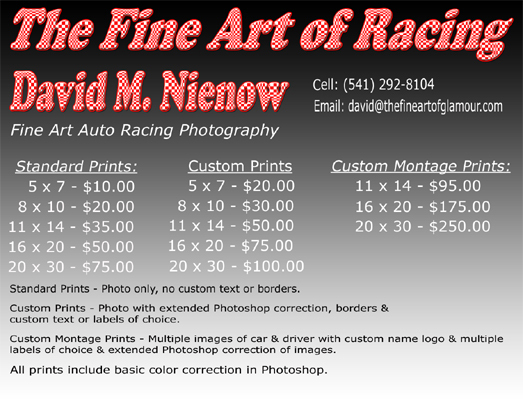 This website showcases the racing photography of David "Glamour Dave" Nienow. Generally known for his fashion & glamour photography of top fitness models such as Tara Caballero, Erin Ellington, Brend Kelly, Carmen Garcia, Deven Jones, among others. The field of racing photography is a new arena for David Nienow. A life long fan of NHRA & IRL racing, the images showcased on this website reflect the efforts of a documentary project on the local racing culture in Southern Oregon that has been Mr. Nienow's focus for the summer of 2007. 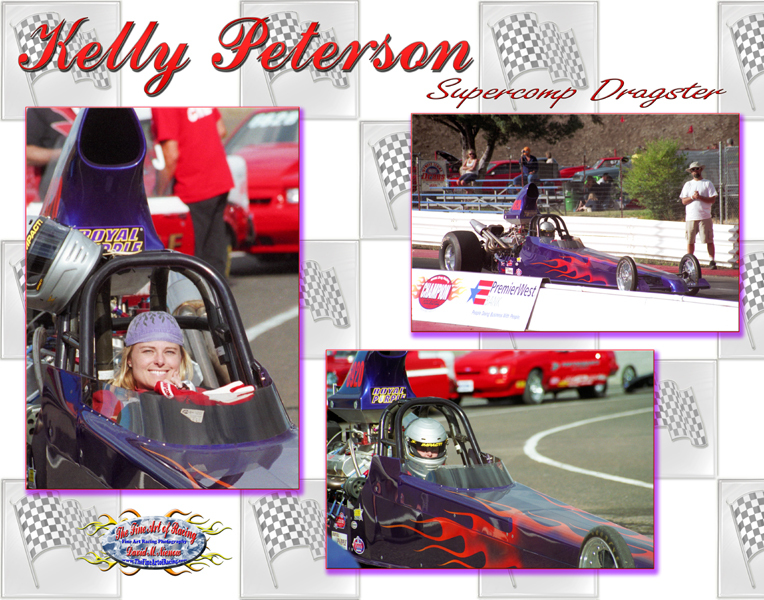 As part of the documentary project, special emphasis has been placed on the developing role of women racers in the southern oregon region. The final outcome of the documentary project will be a series of profile articles on some of the local women drivers for the Medford Mail Tribune, the local daily newspaper of southern oregon. Afterwards additional article and photo materials will be submitted out to additional race & photography publications. Enjoy the racing photos featured in the respective slideshow portfolios. Custom prints of any of the images featured can be ordered. Prices for prints are outlined in the price chart below. Should you wish to place orders for any prints for your personal use you may do so by reviewing the price chart, select the type of print to be ordered & the quantity desired for each print. For normal small quantity orders to be shipped & delivered outside of the my local area (Rogue Valley - Medford, Oregon), add $10.00 for shipping & handling. 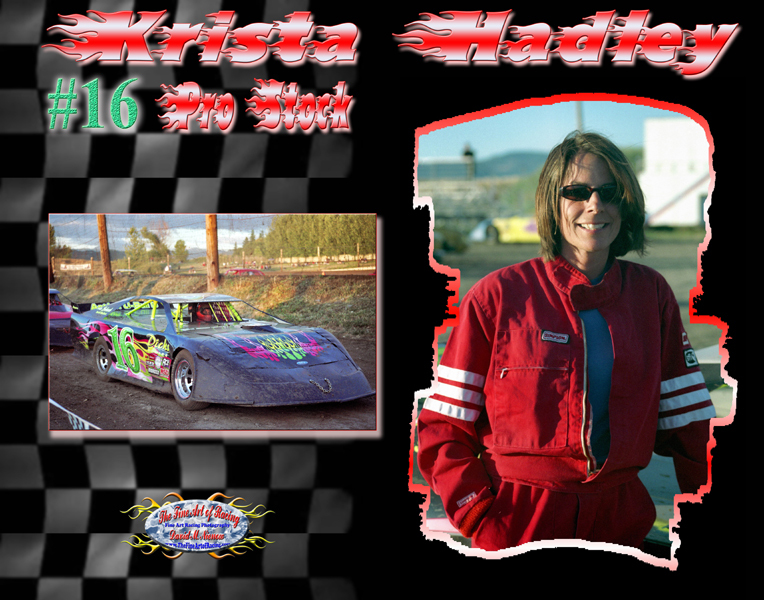 Drivers & their respective sponsors may order a specific print in large quantity for commercial use such as 8x10's or posters for resale at racing & promotional events. Contact the photographer for seperate pricing. Examples of recent custom 11 x 14 montages are displayed below the price chart for your preview.